I have used services of Custom Design and Print five times already. They produce high quality products, provide excellent service and do everything in the timely fashion. They are always available on the phone and listen to your requests. I would definitely recommend the Custom Design and Print to my friends and family. In one word – Professional service ! Most of design and printing service providers have standard approach – showing a few samples, standard design and no intention to do/print anything different. It is like if you want to buy nice bottle of whiskey but getting the same standard coca-cola with slightly different label… “Custom Design and Print” is a different story. Great help with our design, professional approuch and “outside the box” solutions! Thank you very much again! I have been dealing with Vadym for quite some time now and I do not have one bad comment to say about him or his service. He is always there when you need him, always with great suggestions and ideas. Vadym is definitely a professional in his business. I strongly recommend him and his company to everyone!!!! Great service and excellent quality! Highly recommend! Amazing design! I still receive complements on the design of my roll-up banner. My order was completed quickly. I definitely recommend your services to my colleagues and friends. Over the last five years Custom Design and Print published two soft cover cookbooks and one custom designed hard cover book for me. 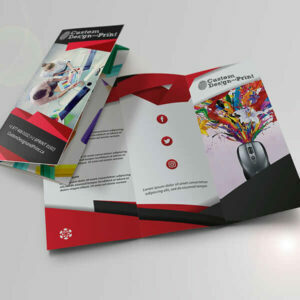 Their professional expertize ensured each book was completed on time and presented creative printing techniques using high quality products. Their personal consultation service ensured each book’s custom formatting, and variety of full colour images including original art for the book covers was better than expected. The two cookbooks, Mamas’ and Babcias’ Best Recipes and Memories from Mamas’ and Babcias’ Kitchen had specific formatting requirements including an original book cover that was finished with coil binding allowing the book to lie flat when opened. The last book, Our Celebrations… Наші Свята is a custom sized, stitched and bound hardcover book with a foil stamp on the name and high gloss embossing on the artwork. The special cover pocket completed the presentation with innovation and originality. I used the services (Design and Printing Services) of this company and I was very pleased. Professionally, quickly and high quality. I recommend! Great job! Your services are professional, convenience, and fast. We’ll refer these services to our affiliates. We are extremely impressed with the level of design skills and customer service. Simply Awesome! Our logo has been receiving so many compliments. I definitely recommend your company to all of my friends and associates. Thank you for a great job and care with my order. It was so easy to work with, the respond was always prompt, fast and the quality of work is great. I had them develop the design for flyers, business cards and brochures. Always got what I wanted and when I wanted it. I highly recommend them and already sent a few of my friends that have become repeat customers as well. Talk to you soon about my new order! We have working with Custom Design and Print for over three years and are very satisfied, not only with the quality of their print work, but the creativity of the design work they have done for us. I have been working with this company for almost 3 years. Great service, everything is being done in timely manner, appropriate pricing for the value that you get. Everything is being organized very well with professional approach and integrity. Definitely company that you should consider for your Designing and Printing needs. Custom Design and Print team is very professional and punctual in their work. They designed and printed my wedding invitations within a few days. They pay attention to the details and listen to you. In addition, they have very creative designers who offer their expertise and make you decision making very easy. In addition, they designed and printed my business cards using their own professional designers. The price for their services was very reasonable and the quality of work was excellent. I would highly recommend this team to all my friends, family and business partners. Look forward to working with them in a very near future! Very pleased with the service. Their approach to design is innovative and functional. Highly recommended. I personally ordered business cards, flyers, outside and inside signs, post cards and more from this company and was impressed with the quality, professionalism, respect, honesty, timelines of this company. I would definitely recommend Custom Design and Print to everyone. I ordered postcards, business cards and stand-up banners a number of times. Excellent design and printing services. Excellent design and print! Amazing quality! And always in time! designandprintagency.com work is high-end material at reasonable rates. They go the extra mile to make sure that your project is even better than what you had envisioned. I have been working with designandprintagency.com founder Vadym Matviyenko for a few years and I am extremely happy with this service. Designs are always tailored to me and my business and all work is always done on time. He adapts his work to match the seasons of the year, which allows it to always feel current. This is very important to me as a real estate broker and helps me attract more clients. Vadym has very high quality standards and has helped me create a great brand image for my business. 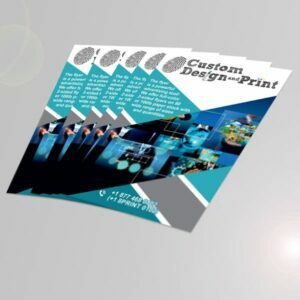 designandprintagency.com is the first place you should call if you need flyers, business cards, signs, car wraps, calendars or anything else designed or printed. I have been a returning client of designandprintagency.com (formal vivamprint.com) since 2014. I am very impressed with the service and professionalism of Team Members that work behind the scene. Right from the beginning of the process of ordering a product and to it’s final stage it is always a great pleasure dealing with this company. Great customer service, great products to accommodate any professional, and great affordable prices. I would definitely recommend this company to any prospective clients and I have already recommended this printing company to many of my partners and colleagues. It was my first experience working with designandprintagency.com (former VivamPrint.com) where I was attracted by very affordable and competitive prices, having a limited budget for the printing job I was looking to be done, so I decided to give it a shot and never regretted it! Being new to the “printing world”, I also received quite a few valuable suggestions in regards to our project. I also must mention their great customer service, flexible hours and professionalism. Definitely, would recommend designandprintagency.com (former VivamPrint.com) to others and do business again. Thank you, designandprintagency.com, for the wonderful t-shirts and service! The shirts were delivered to my door and were exactly what we wanted for our camp – bright, vibrant and good quality. The children love them! Thank you again for your professional and courteous service. We will be back! We would like to thank designandprintagency.com for all your help in servicing our graphic & printing requests. You have shown a consistent ability to meet tight deadlines, which is much appreciated, and crucial in the festival industry.